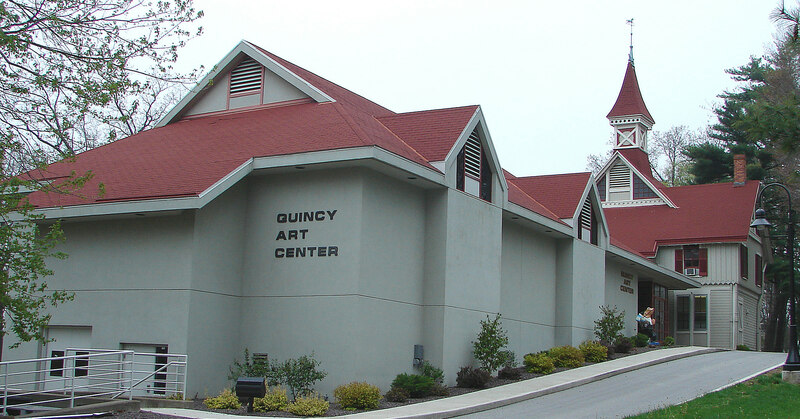 The Quincy Art Center is a not-profit art museum celebrating visual arts since 1923. We are located in the beautiful East End Historical District of Quincy, Illinois in a carriage house built in 1887 and a modern wing built in 1990. Through our exhibits and programming we show our dedication to Art, Community, and Education. For more information check out our History page! The Mission of the Quincy Art Center is to provide opportunities for growth and appreciation of the visual fine arts through exhibitions and programs in our community. In 1932, the Quincy Art Club leased from the Quincy Park District the carriage house behind the Lorenzo Bull mansion and established on that sight what was to become its permanent home. Designed in 1887 by Joseph Lyman Silsbee, a prominent Chicago architect, the carriage house made marvelous studio space in which artists could teach and work. At this time, the Clubs exhibitions were held in various local venues - the Lincoln-Douglas Hotel, the John Wood Mansion, the Free Library and Cheerful Home were some of them. Monthly exhibits provided local and area residents with a sampling of fine paintings, sculptures, and graphics; noted authorities presented lectures on the history of art, and educational programming was developed with artists-in-residence to fulfill a growing demand in the community. In 1946-1947, the Art Club remodeled the interior of the Lorenzo Bull carriage house in order to create the Elizabeth M. Sinnock Gallery, an art moderne space designed by the late Charles F. Behrensmeyer. The newly renovated structure opened to the public on March 2,1947. In 1969, thanks to a grant from the Quincy Foundation, the Art Club hired its first professional director, John Arthur. From 1973 to 1990, the Art Club was without a professional director and operated by a Board of Directors, volunteer committees, and office support staff. In 1991, Mariann Barnard became the professional director of the Quincy Art Center, (as it was by then called),replaced by Julie D. Nelson in 1994. Nelson retired in 2014 with the position given to our current Executive Director, Jennifer Teter. The Art Center is supported in part by membership fees, contributions, grants, and proceeds from fund-raising events, the most notable of which is the annual Beaux Arts Ball, initiated in 1930. If you have any questions or comments regarding the Quincy Art Center, feel free to let us know by using the emails above or calling us at 217-223-5900.